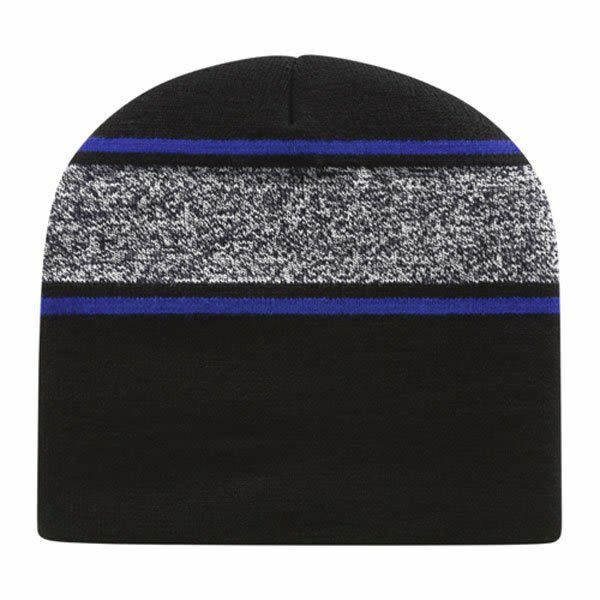 The textured look rules the fashion world these days, and so the black and white variegated yarn on this striped, USA made, custom beanie fits right in. 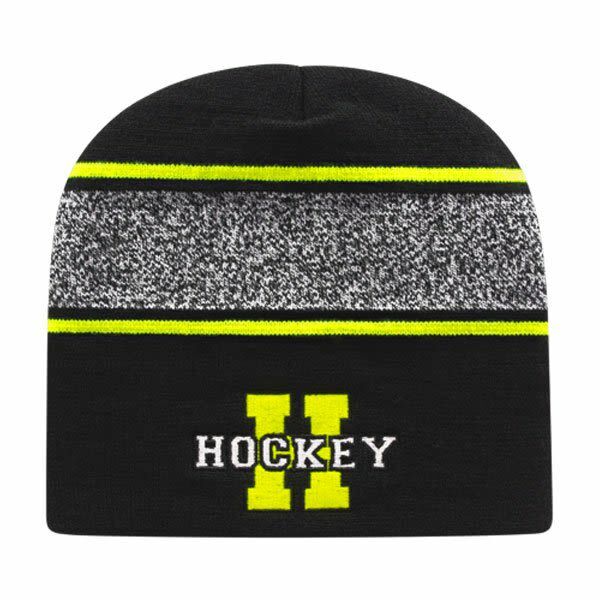 Draw eyes to the custom embroidered logo at the bottom with the handsome accent colors and stark, black acrylic yarn. Choose the fashionable look that will promote your name both out on the slopes and around town. An embroidered logo on the bottom of up to 10,000 stitches is included in the price. Additional stitches are available for an added cost. Please call for assistance. 100% acrylic.